Mar 24, 2016 As you have chosen to remain anonymous, we are unable to address your concern about your spouse’s passing. 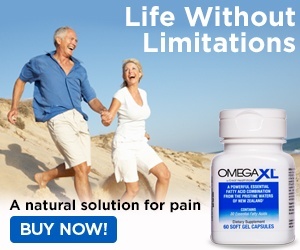 Omega XL and its ingredients have never been shown to have harmful side effects. We’re sorry to learn of your loss. Review #619165 is a subjective opinion of User619165. Stop lieing, supplements don't kill, you just mad cause the product didn't work for you or your wife. It doesn't work for everyone just like medicine from the doctor don't work for everyone and that can kill you too. So sorry for your lost. I hope the court see how dangerous the product is.